During NYFW, Brooklyn Industries released their first limited edition handbag for Spring 2012 in a series of seasonal signature handbag releases. Made right in Brooklyn, this hand painted custom bag was designed to directly reflect the themes present in J. G. Ballard's 1979 novel, Crash. 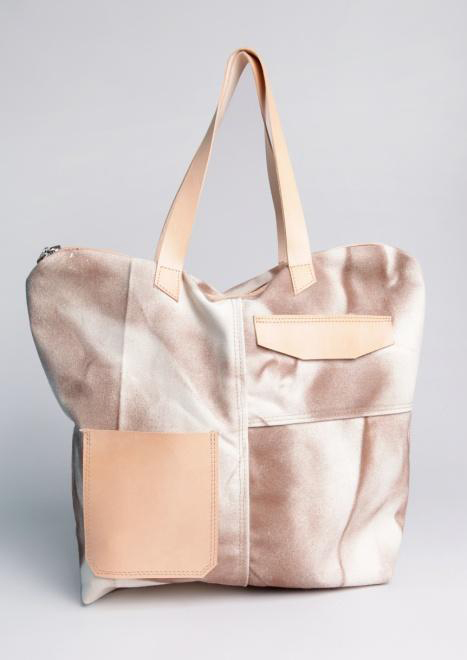 Resembling the twisted metal remnants of a highway crash, but also symbolizing the collision of humanity and technology, the effects of modernity, fused with eroticism are represented by the combination of high end materials and heavy duty industrial fabric used to create the bag. 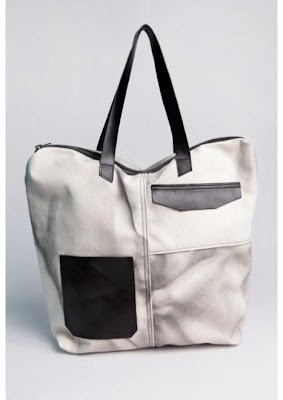 The artistic craftsmanship of the leather details are layered on top of the hand painted industrial linen to create a bag rooted in the Pop concept. The Crash Bag is available online on BrooklynIndustries.com or at Brooklyn Industries locations nationwide. Check out their Philadelphia location on 1525 Walnut Street. 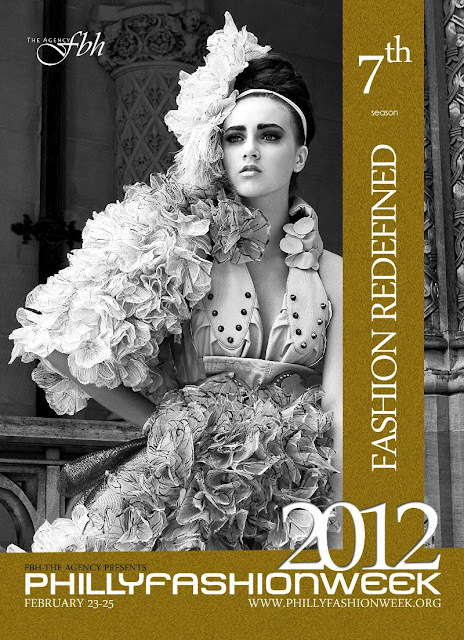 Fashion Week NYC maybe over but, next week starts Philly Fashion Week. On Thursday, February 23, the festivities began with a RSVP only Black Tie Affair, followed by a Premiere Runway Show on Friday and a Couture Runway Show on Saturday. Some featured designers include Irina Sigal, Sherry Michelle, and Veronica Couture all representing Philadelphia. 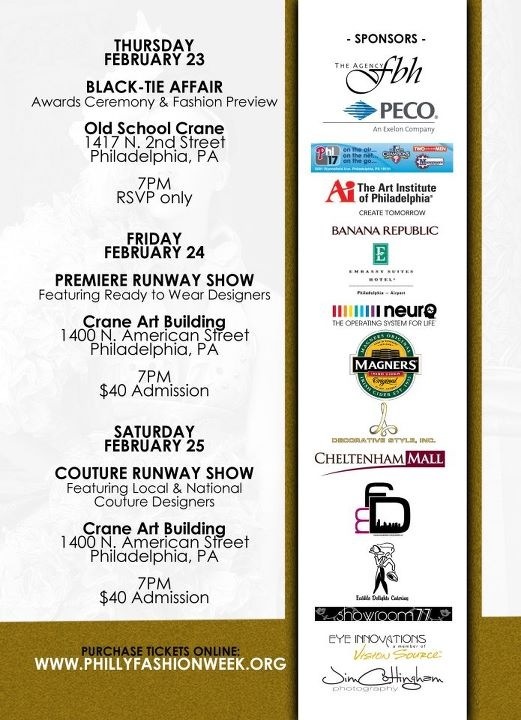 For tickets and other information go to PhillyFashionWeek.org. See you there! 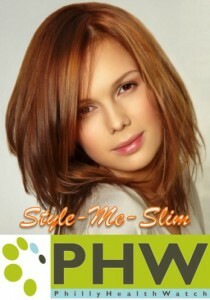 Philly Heath Watch Presents "Style Me Slim"
Philadelphia's expert health, wellness and fitness media source, Philly Heath Watch is currently hosting a "Style Me Slim" Contest until Feb. 10. The contest gives, not one, but two winners a new slimming haircut by Celebrity Hair Stylist Kevin Gatto of Verde Salon in Collingswood, NJ and a stylish makeup makeover by Pro Makeup Artist and owner of cosmetics line Jing Ai, Donna Cristino. To enter you must submit a photo and in 140 characters or less explain why you, your friend, or family member should receive a "Style Me Slim" makeover. Contestants can tweet using the hashtag #StyleMeSlim, post on the Philly Health Watch facebook page (facebook.com/phillyhealthwatch), or email tips@phillyhealthwatch.com and be sure to include "Style Me Slim" in the subject line. The two winners will be selected on Feb. 10 and revealed on PhillyHealthWatch.com on Feb. 22. So put your best face forward and get slim!